ARE BEE GEE ANGELS WITH US? This post is not about religion or proselytizing or converting anyone to a certain way of believing. 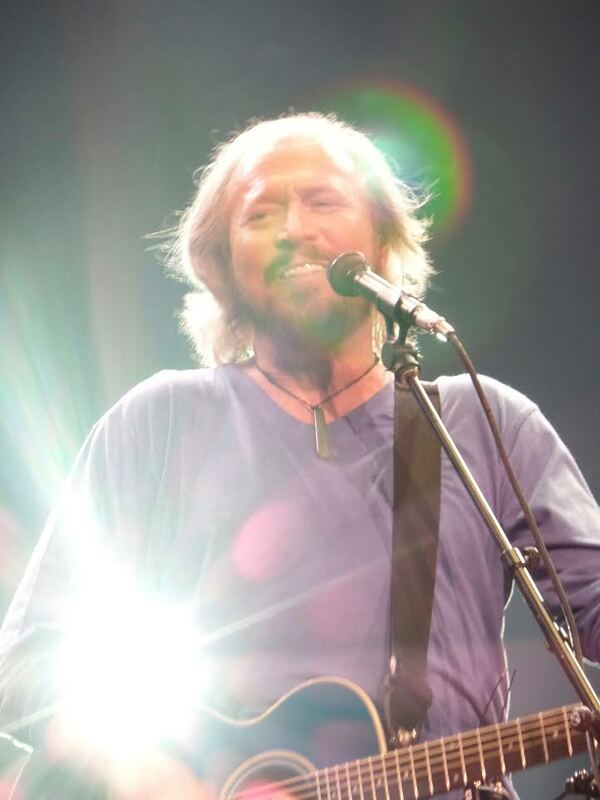 I pose the question to Bee Gee fans and wonder if they have had divine moments as I have experienced; and indeed, I think Barry may have had these moments during the Mythology Tour himself. The above photo was posted more than a year ago after the Chicago concert when I felt a strange presence around Barry and knew without a doubt that the brothers were right there with us all. So why this post today? Well, I have been remiss and have not posted a story for a few weeks. Bad Annie! And my book? Well, the number of words I have written this summer can be counted on one hand. Actually, I can easily make a single gesture to show how much I have written. I am still writing about 1985 with seven years left to reach my goal of giving my heroine a happy ending. The reason for this negligence? 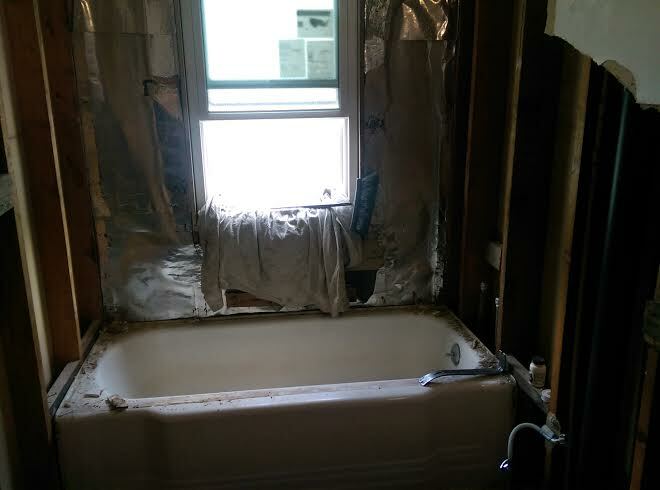 Well, I have been preoccupied with renovations on my home in New York, which is a living nightmare at the moment. It has overshadowed my work and my passion, which, of course, always includes the brothers Gibb. Recently, I have had a startling wake-up call from Robin, Maurice and Andy, and I have a witness who can attest to what occurred. Spending an inordinate and unnatural amount of time in Home Depot, Lowes and Costco is unnerving in itself, but in the past few days, the boys have brought me to my knees with their “brain interjections”, as I call them. Last week, I was with my contractor Kevin in Home Depot picking out flooring and wall tile. I was drained and grumpy when I met him at 7 a.m. (Why does this store open at 6 a.m. anyway?). As we walked through the tile aisle, familiar music began to permeate my fuzzy mind, and yes, I heard the familiar sounds of “Stayin’ Alive”. Kevin just laughed, and I commented to him that it was not just a fluke that this particular song would be playing. Hmmm, a message from above perhaps? Fast forward to our next stop, Lowes. Leaving Home Depot to find the right bathroom faucet, which I had seen at Lowes, we walked in and headed for the bathroom fixture aisle. (I marvel at how the employees know where to direct me and can tell me just where to find the correct screws for my ceiling fan as well. Amazing!) We weren’t there five minutes when the familiar sounds of Robin Gibb’s voice gently wafted over the speakers overhead. “Run to me whenever you’re lonely, run to me when you need a shoulder”. Yup, there they were again. This time Kevin was a little freaked out, and he shook his head in surprise. I just smiled, since this has happened to me several times before, and I am getting used to it. Once in Florida, I spent a rare day shopping and found myself singing with the brothers in Publix, Trader Joe’s and assorted consignment stores. Now, maybe fans think I’m a bit if a nutcase for writing about his. I have mentioned how Maurice sometimes “bugs” me and fills my mind with memories. He pops up at the most inopportune times, like when I’m in a faculty meeting or in the middle of the night. I think he’s there to keep me on track and to let me know he believes in me. Crazy? I don’t think so. Even though I have scores of photos from the Mythology Tour that are yet to be posted, and even though Barry is in the forefront of every fan’s mind (Australia trip? new album? what will he do next anticipation? ), it is the other three brothers who are supporting me at present. They give me confirmation that I have what it takes to do them justice and make them proud. 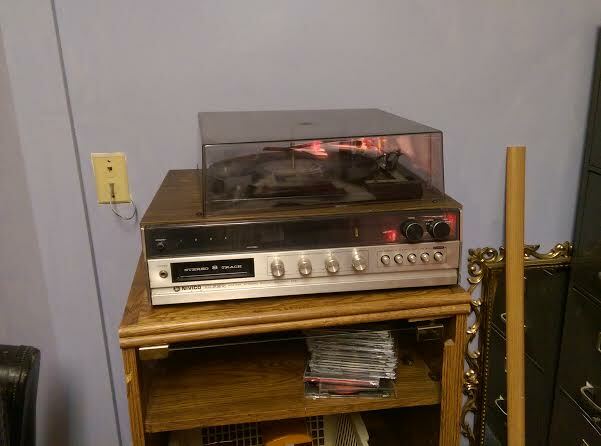 All of those memories from decades ago when I played my Bee Gee albums with my dad on the old record player are in the forefront of my mind and spur me on, just as the boys do. 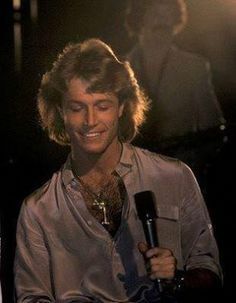 So, for all the Bee Gee fans who feel Gibb angels around them, I’m here to tell you how lucky you are to feel that presence. I’m confident they feel the love that is expressed for them every day, and they are responding in kind. Call me silly or deluded or a Pollyanna. I know what I know, and I’m not on this journey alone. Thanks, guys! 6 Responses to ARE BEE GEE ANGELS WITH US? 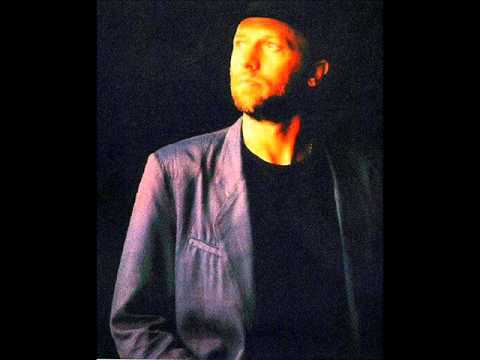 i have these kinds of things happen to me in regards to the Brothers Gibb……i come home sometimes and smell Mos cologne so I know hes been here….so i can totally relate to your story…thank you for sharing it!!!! I have visitations from Robin and mostly at least once a month. I also hear their songs just about every time I am in a store, so either a lot of ‘piping in music selecters’ also love the music, or it’s the guys tapping in… so I totally ‘get’ you, Annie. I love it, too. I have other visitations and sometimes it takes me a bit of thinking to know who they are, but with Robin, it’s immediate, cool!! Amazing, isn’t it? They are all around us! Thank God for that…..